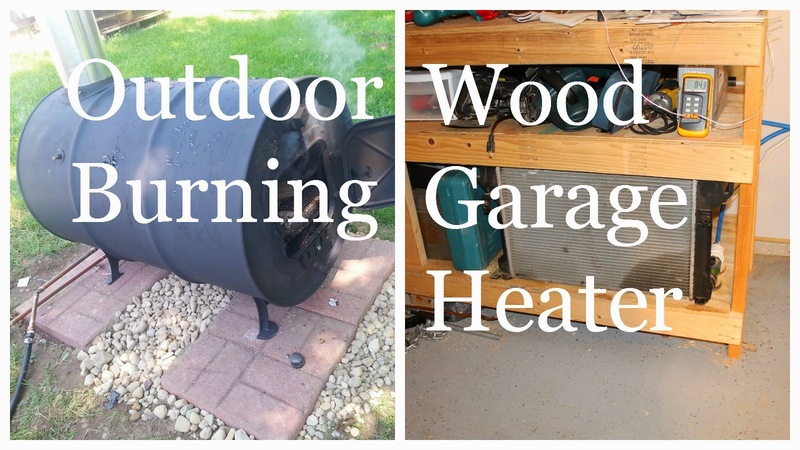 Recently I made a homemade outdoor wood burning boiler system to heat our garage. I have been excited to get this put together ever since I built our wood burning pool heater earlier this spring. I realized that with the same setup I was using for the pool, I could also heat water for an indoor heat system. All I needed was some sort of indoor radiator and fan and some underground tubing to cycle the water through. I am planning to expand my small garage wood shop this winter and did not want to have to run an electric heater all the time to heat the garage. My other options were to purchase a small propane heater, kerosene heater, or some other type of more powerful heat system but those can be expensive. So, I decided on the wood burning heater instead. In most cases people will just put the barrel stove right in the garage, and that is a very efficient way of heating. However, my insurance company would not allow any wood burning stove (especially a homemade stove) inside the home. So this is where the wood burning boiler system design works the best. Although it is not quite as efficient as having the wood burner right in the garage it works very well to heat up our small insulated garage. We've been running it for approximately three weeks now, and with the temperatures dropping like they have, we're really happy with the results. For information on how I built this system, watch the video below. Thanks for watching! Wow, that's impressive. I think you're more then happy with this heating system. But I still think that handmade heating systems are not so efficient and that is more important not so safe. I would raher prefer to pay a little bit more but to have heating system installed by professionals, like this http://myairmatics.com. Wow! Great burning garage heater. Thanks for sharing this one. Love it! The best solution for this is to build a shed within the house premises where we can store all these items freeing some space in the house. Let us know how to build a shed.